In the United States, president and Congress can be locked in fruitless combat for years on end. In Canada, the government and the House of Commons cannot be at odds for more than a few weeks at a time. If they differ on any matter of importance, then, promptly, there is either a new government or a new House of Commons. prime minister, or allow the people to elect a new House of Commons that will settle the matter, one way or another, within two or three months. That is real responsibility. I also enjoy the novelty of an American who advocates in favour of parliamentarism. 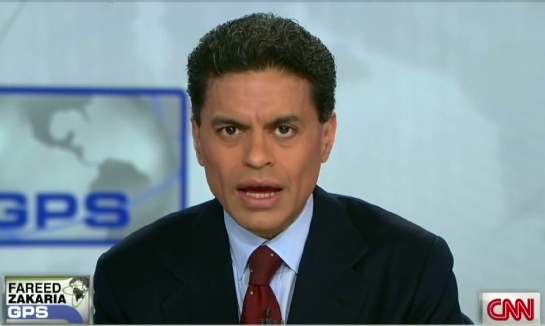 Judging by some of the xenophobic and overtly nationalistic comments on both of Zakaria’s posts, defending this position takes some courage in the United States! However, in his analysis of parliamentarism, Zakaria made some crucial errors, such as the suggestion that “the executive controls the legislature”. In fact, the exact opposite is true. All parliamentary democracies (Westminster or otherwise) operate on the basic principle of responsible government, which recognizes parliamentary sovereignty by requiring that the government command the confidence of a majority of the House of Commons in order to govern. The government thus derives its legitimate authority to govern from parliament – parliament therefore controls the legislature. Single-party majority governments tend to obscure this principle because a majority of the backbenchers sit on the government side and will, except in exceptional circumstances, support the government. But Parliament can even oust prime ministers leading single-party majority governments: British Prime Minister Thatcher faced a caucus revolt and resigned in 1990, as did Australian Prime Minister Kevin Rudd in 2010. Judging by many of the comments on his blog posts, many Americans unknowingly have a time capsule of 18th-century Britain and George III in mind when they think of parliamentary government, before the entrenchment of responsible government, or an altogether incorrect view that parliamentary systems represent the tyranny of the majority and run roughshod over liberty. This entry was posted in Parliamentarism v Presidentialism. Bookmark the permalink. Very good post. I would just point out that in the UK House of Commons, even gov’t backbenchers are quite rebellious and far less willing to toe the party line than their Canadian and Australian counterparts. This is due to many factors, sheer numbers being an important one – it’s just impossible for party whips to reward or threaten them, esp. now with reforms to the committee system (elected chairs and membership, etc.). Also, in the UK, the practice of kicking someone out of caucus for voting against the party almost never happens. That’s why you end up with key pieces of gov’t legislation barely passing, even when it’s a majority gov’t (like Blair’s tuition fees bill which passed by only 5 votes when he had a huge majority). I had an interesting discussion with a prof here who characterized the size of the British House of Commons (currently at 656, I believe) as the most significant reason why MPs vote more freely there. By that logic, we’d expect the Australian House of Representatives, at 150 seats, to be even more tightly disciplined that the Canadian House of Commons, at 308 seats. Do you know if this is the case? You’ve written more on Australia than I have. UK House of Commons currently has 650 members but that will be reduced to 600 for the next election. And yes, from what I have surmised, the Australian House of Representatives is apparently even more whipped than the CDN HofC, which is really sad, but probably not surprising given the current minority government situation (which has made the situation worse). I still think there are reforms we could introduce in Canada that would loosen up the party ties somewhat. Number of MPs is definitely a plus for the UK, but they’ve introduced a series of reforms that give backbenchers way more say. And the current Speaker is definitely more biased towards the legislature and less so towards the executive, which helps. Yes, thanks, only 650. (I found a good publication from the British House of Commons as well on these stats). The other issue is incumbency. The 2010 saw an unusually high rater of turnover, as you pointed out in the other comment. The Canadian average turnover is about 35% per election, but the UK average is probably only like 15 to 20%. Another point too re: the UK House of Commons. In the May 2010 election, there was a huge intake of brand new MPs (I believe something like 227? ), and I recall reading somewhere that they’re not particularly beholden to certain parliamentary traditions, including that of abiding by the Whips.